It was revealing. The simple grief and loss inventory was only lines on a page with a few typed words. A group of us met at Christian Theological Seminary in Indianapolis to talk about what it means to live well and to live on, even after we are gone. We dug right into the heart of the matter that morning: what you miss the most in life tells us what you’ve loved the most in this life. Looking at our losses and how they impact us today can reveal deeper meaning that we may have missed in life’s flurry. As I reviewed my own loss inventory, I noted that though I was decades younger than my peers in my small group, my losses overflowed onto the margins of the page. There was not enough room to write them all down. Losses early in life added up. Loss includes not only death of loved ones, but also loss of place, relationship, identity, community, and faith. I began to wonder how much of the loss I experienced directly related to the untreated mental illness in my father’s life. Like many families disrupted by divorce, loss of a unified family impacts each member. While we were young children my parents separated and eventually divorced, so that particular loss of a intact family is known to me. But what I observed from the data in my grief and loss inventory is something that we talk less openly about: the loss and grief related to severe mental illness. Grief gets complicated quickly when mental illness is in the mix. My father hadn’t yet died, but in many ways he was gone. Looking back, I now realize how much grief I carried over losing my father to untreated mental illness while he was still alive. As a girl, my heart ached for my father to provide consistent care, support and affirmation. His untreated severe bipolar disorder disabled him, so that during my growing up years he was often self-focused, irrational, and unstable. As the daughter of a parent with untreated mental illness, I came to think about insanity as the inability to sustain human relationships. In this very real way, my dad was insane. And I grieved the loss of his mind. 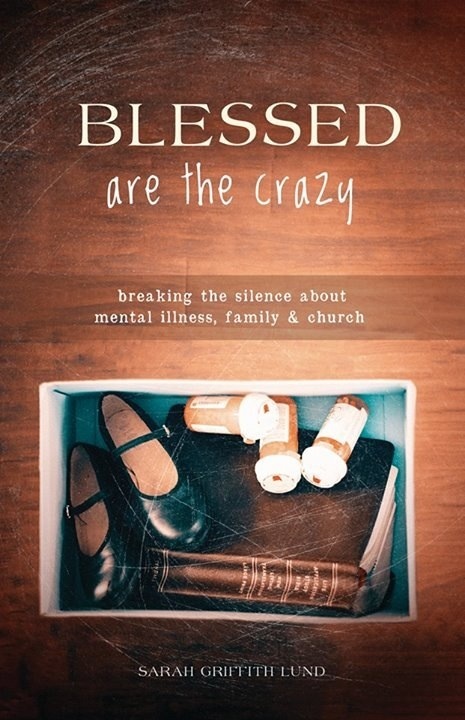 What has helped me in my grief caused by mental illness’s death-grip on my father’s life is this: the emptiness I carried inside found a healing balm, soothed by the love and friendship that is at the heart of Christian community. Being part of a faith community has opened up my heart, bringing healing and wholeness. I believe, at our best, faith communities provide this redeeming love and comfort to millions of others. It’s what faith calls us to do: care for others, comfort the afflicted, heal the sick, and feed the hungry. Naming the experience of loss and grief as shaped by experiences of mental illness is healing. By calling out the places of woundedness, we liberate their power to define us. Hope can be found in the margins, the places on the edge where we can name what longs to be free. Great post!! I love your last paragraph.